The University of Pennsylvania has offered and conferred more than 100 different degrees since it awarded the degree of Bachelor of Arts (A.B.) 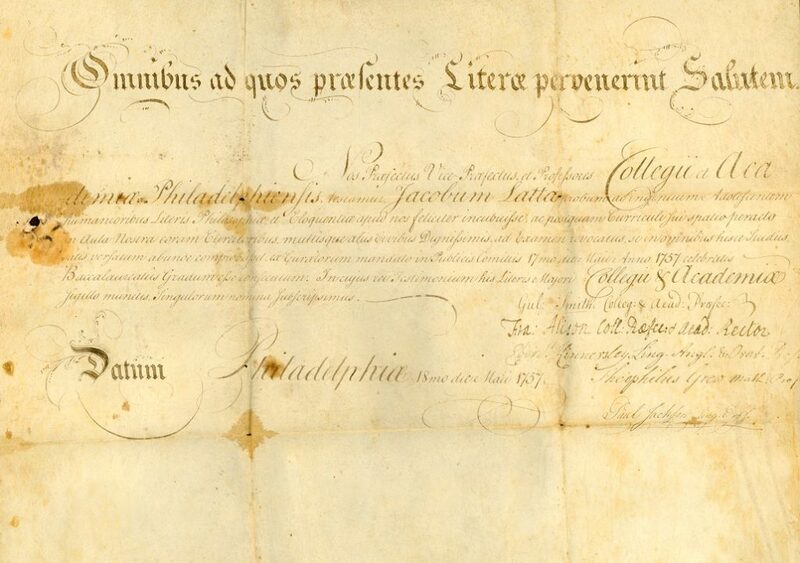 to the six members of its first graduating class in 1757. The names of Penn’s earned degrees and the dates during which they were offered or awarded are listed on the pages linked below. Please note that information on Penn’s honorary degrees may be found in “Honorary Degrees” on the University’s website. Please also note that these lists are designed for historical information only. The University’s main web site contains information about the current Penn undergraduate degree programs and current Penn graduate and professional degree programs.